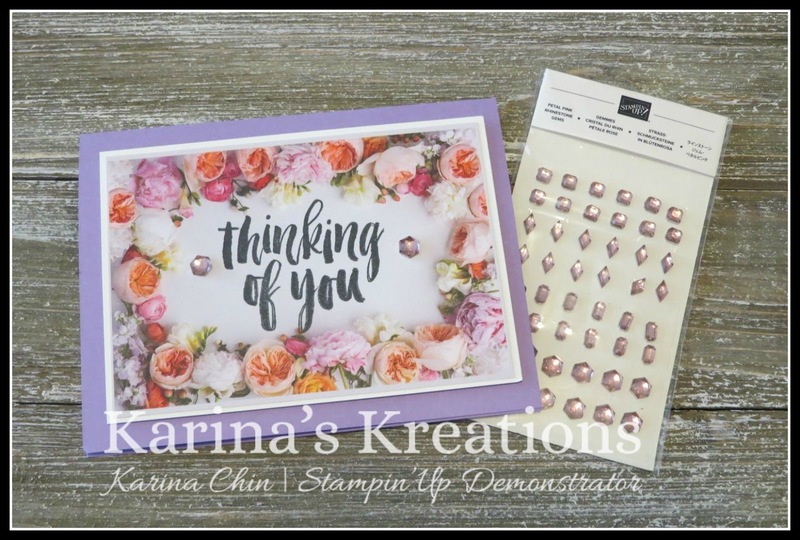 Karina's Kreations: Super Easy Hand made Card! 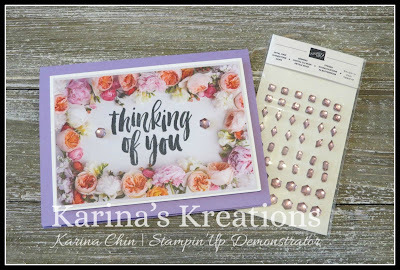 Super Easy Hand made Card! 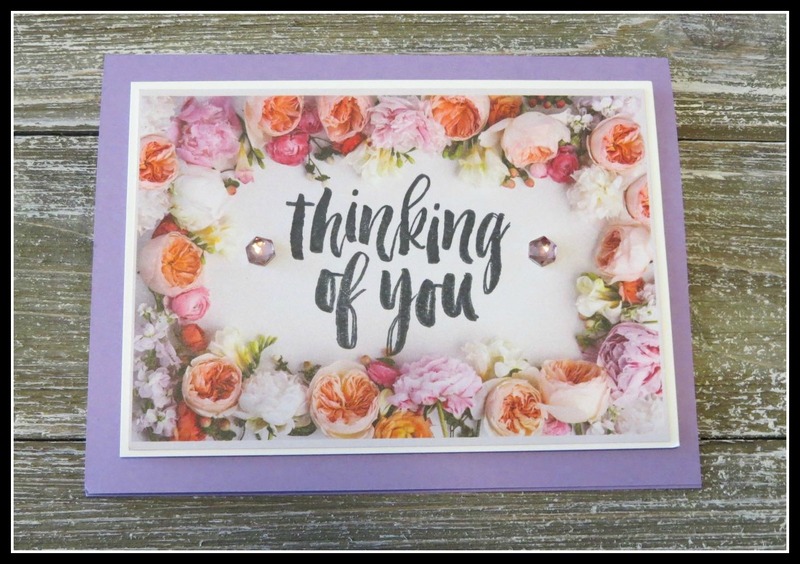 It's so easy to create cute cards when you have gorgeous Designer Series Paper. I used Petal Promenade. One sheet has framed images and I cut out one of the frames and stamped on the paper. The sentiment is from the Rooted in Nature stamp set. I used my stamparatus to stamp the sentiment on the designer paper just in case I goofed it up. Remember to order your Stamparatus case or email me and get your husband to give you one for Christmas.